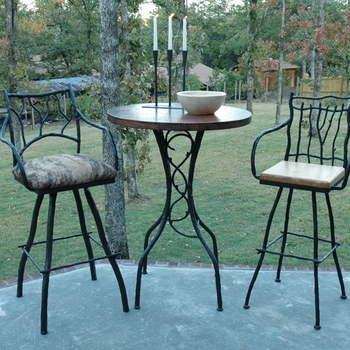 Great for your country lodge or cabin retreat, our rustic bar and counter stools are a terrific seating option for both indoors and outside. First, choose from either the counter height or the taller bar height stool, then add a luxuriously designed seat from our numerous options. Choose from our distinct chair finishes to complete this highly customizable item.